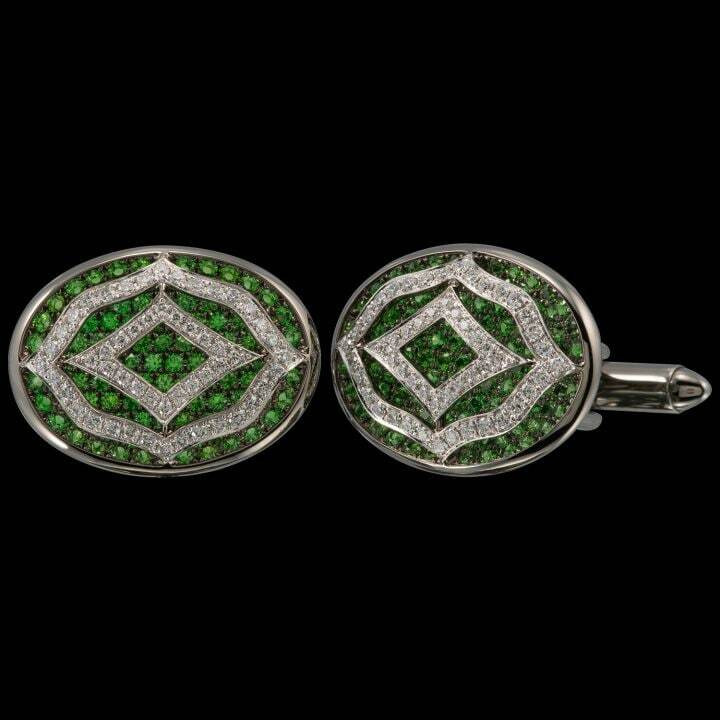 Depicting the style and period of Baroque, this pair of cufflinks feature rich Tsavorite green Tsavorites and sparkling white diamonds. 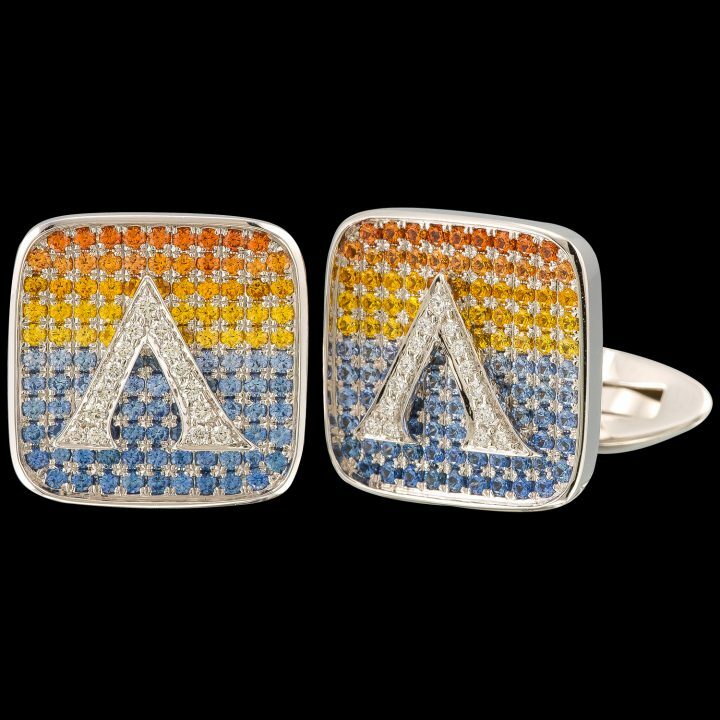 The gradient transition to mimic a sunset horizon in these cufflinks is created by carefully lining sapphires of orange, amber and blue. 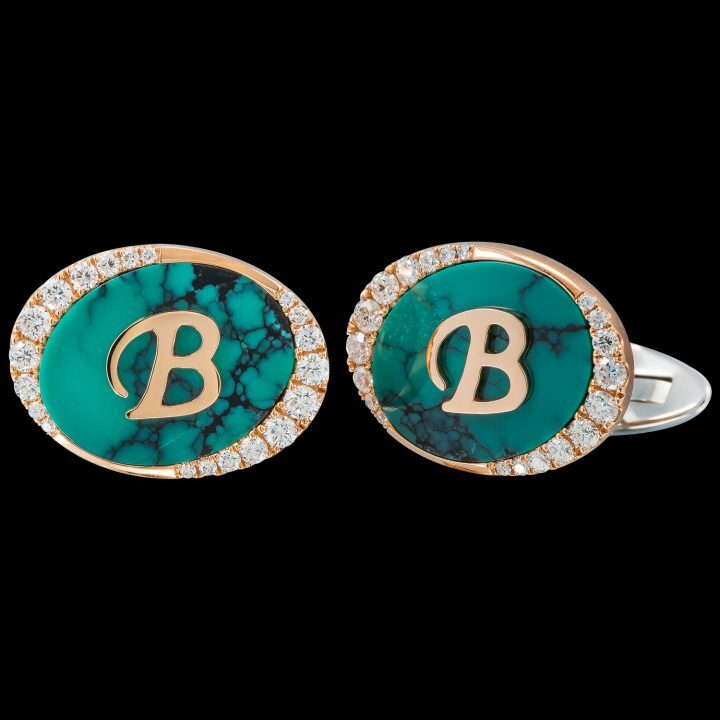 A truly bespoke piece, this customized pair of cufflinks feature a diamond pavé surrounding with interchangeable initials.